Chances are high that if you live anywhere in the southern United States, you’ve seen an advertisement for a title loan establishment. One leading title loan company alone runs more than 1,400 different stores in 18 different states, many of which are in southern and midwest states like Missouri and Kansas. And this is just one company – many other title loan companies exist on top of this. 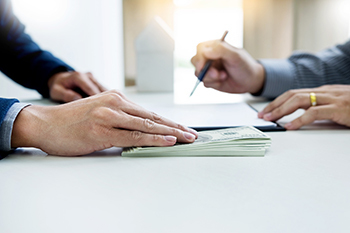 These types of lending companies are a popular option for those who might have had or still do have issues with their credit, yet they are continually maligned in popular opinion. However, for those who need access to alternative lending opportunities, title loans are one of the best tools available. Not only can they improve a credit score, but they also provide access to funding that would be otherwise inaccessible to a borrower. Credible title loan providers are not out to take advantage of the borrower. The key to having a pleasant experience with a title loan company is understanding the mechanics behind a title loan and knowing your responsibility as a borrower. A title loan is a loan that a borrower takes out against the value of their own car. Lending companies of any sort – from title loan lenders to national banks – need some type of collateral to lend against. With traditional lenders, this collateral most often takes on the form of the credit score. While your credit score is not physical collateral, it can be thought of as a type of theoretical collateral. Essentially, it tells banks and significant lending companies what your spending habits are like. A typical credit score factors in the number of loans you have taken out, your credit spending report, your percentage of on-time payments, and many other elements that are supposed to determine your financial health. Most credit scores are judged using the FICO model, which gives your credit history a score of 850 to 300, with 850 being the highest and 300 being the lowest. The majority of the population rests at a score of 650 or below. This often puts them at a lending disadvantage, because despite the many factors that go into this score, it looks to lending companies like low trustworthiness. Additionally, even if they are offered a traditional loan with a score of 650 or below, they will most certainly have higher interest rates. With title loans, rather than basing borrowing on a credit score, title loan lenders take on physical collateral in the form of car ownership. This allows those who have low credit scores, as such a large portion of the United States does, to borrow in times of need. The lending process with a title loan company is simple. First, the borrower comes into the location with their car, their car’s title, and some generic information. This information includes a few references (like you might include on a job application), monthly income information, necessary information about your car like the make and the model, among other information that is typical to applications. If you plan on applying for a title loan with Midwest Title Loans, you can access all the information you need here. If your title loan company has an online form you can fill out beforehand, like the one above, filling that out will save you in-office time. Otherwise, most title loan applications do not take much time at all. You’ll come in, fill out any remaining paperwork, and the loan officer in charge of your application will evaluate the value of your car. From there, they will make you an offer for a loan based on the assessed value of your vehicle. If you agree to the amount of the loan offer, you simply finish your paperwork, hand over the title of the car, and walk out of the establishment with your vehicle and a loan for the amount that the car is worth. What are the Restrictions for Borrowing? The restrictions for borrowing are always different depending on the type of establishment that your title loan is taken out with. Therefore, you should still come to a lender with any questions you might have regarding the process. For Midwest Title Loans, borrowers must have a working car, the borrower must be 18 years or older, and the borrower must own the vehicle outright. The last one of these restrictions is one of the most variable limits that can be found between title loan lenders. Whereas some lenders do allow borrowers to take out a loan against a car with a lien, Midwest Title Loan does not. This is because we firmly believe in giving you the best value against your car’s worth, which you cannot get with a title loan with a lien on it. Are there Any Other Lending Options Available with Midwest Title Loans? Midwest Title Loans does offer flex loan options, which differ slightly from title loans. Whereas title loans are disbursed for the full value of the car you present us with, flex loans allow the borrower to take out as much or as little as they want against the value of their vehicle. While the same restrictions still apply for application, this loan option also allows you to keep your loan open after you pay back the amount you owe. Midwest Title Loans is a leader in title loan lending in Kansas City, catering to Missouri and Kansas residents across the board. Our fast and friendly service gets you the money you need when you need it, especially if you have had issues with lending options elsewhere. Service takes as little as 20 minutes in some cases, and all personal information provided to Midwest Title Loans is kept safe and secure. For more information or to schedule an appointment, please visit us at one of our Kansas City, Gladstone, or St. Joseph locations in Missouri, or one of our Kansas locations in Overland Park or Kansas City. Alternately, contact us here. We look forward to helping you meet your lending needs.